Extended Spring Training is winding down. The Phillies break camp after their last game on Thursday June 15th. Some players will make their way to Williamsport for the June 19th start of the NY-Penn League. Others will prepare for the start of the GCL season on June 26th. We’ve had a lot of rain down here that caused several game cancellations. The fields were affected to the point that practice was forced indoors. Coaches would prefer the game situations that exhibition games provide as they prepare to make the final decisions on rosters and releases. Add to that, Monday’s Amateur Draft, and you have cause for some anxiety among the players still in camp. Several who have little to worry about are Tom Windle, Zach Green, Derek Campbell, Seranthony Dominguez, and Harold Martinez. They are rehabbing from injuries and should be activated by their teams when they are cleared by the medical staff. 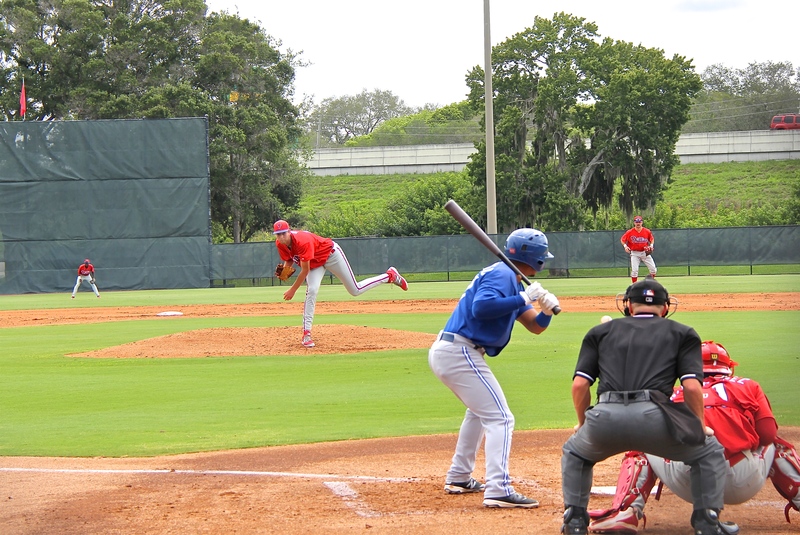 Also Jesse Valentin, who arrived over the weekend to begin his rehab. Sutter McLoughlin just had surgery. And, Aaron Brown is beginning conversion to pitcher. I have a pretty good idea who I think will be assigned to which team. Some of the players currently on the Williamsport roster will probably be added to the DL. A lot of the players on the GCL roster will move on to Williamsport. Of course, the results of the draft this week will require more decisions. 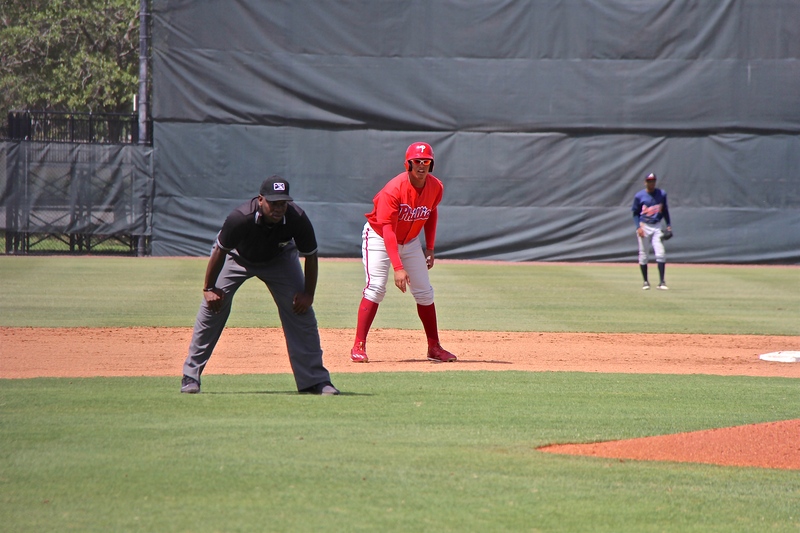 Some of the guys who make the Williamsport roster this week may find themselves in a lesser role or back in Clearwater by the end of the month. 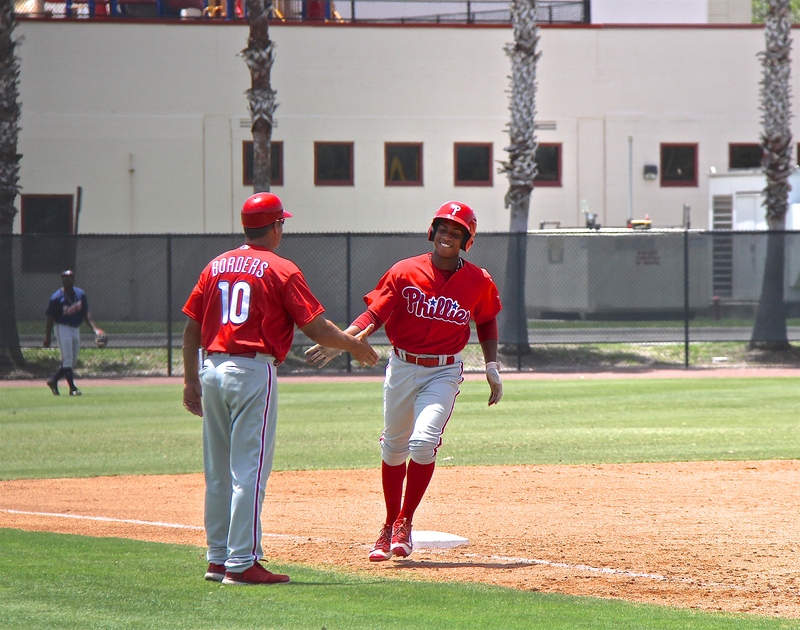 FWIW, I expect Alcantara, Andrew Brown, Carrasco, Gowdy, Miller, Nunez, Stewart, Young, Duran, Nerluis Martinez, Lenin Rodriguez, Pickett, Stobbe, Matos, Ortiz, and Stephen to move up to Williamsport from the GCL roster with the disclaimer that I wouldn’t be surprised if the Phillies didn’t agree with this. Now for some photos. Mark Wylie has forwarded most of the photos I am including below. Tommy Bergjans serving up double in the first inning (5/29/2017). 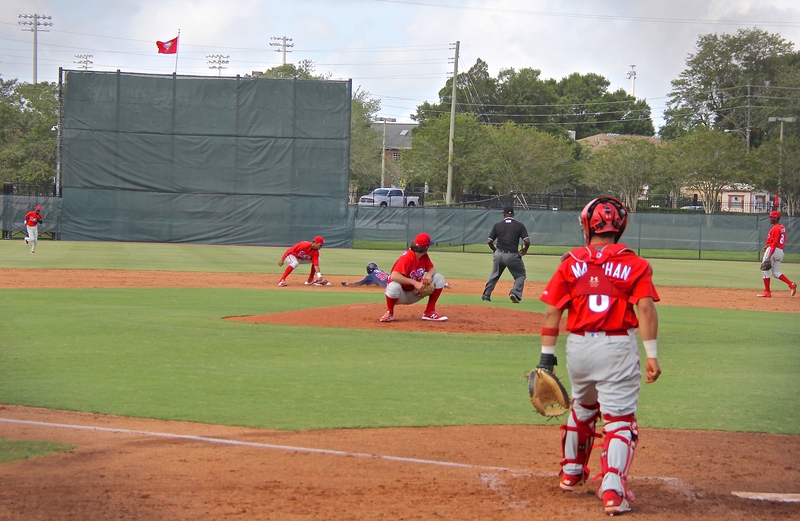 Rafael Marchan throws out a base runner (5/29/2017). Cole Stobbe v Kyle Muller (5/29/2017). Josh Stephen after successfully stealing second (5/29/2017). Jhailyn Ortiz reaches base on a fielding error (5/29/2017). Ortiz lead off second base (5/29/2017). Malvin Matos homers to left (5/29/2017). Matos rounds third during HR trot (5/29/2017). 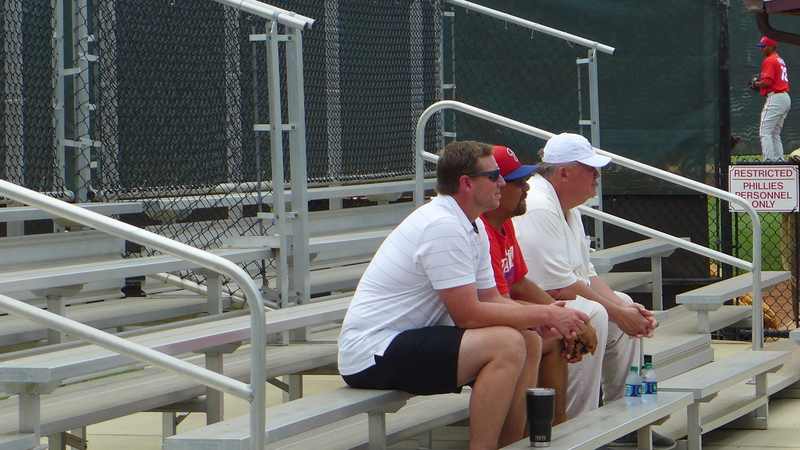 Roy Halladay watching Tom Windle pitch (6/2/2017). That’s Charly Kerfeld in the white cap. 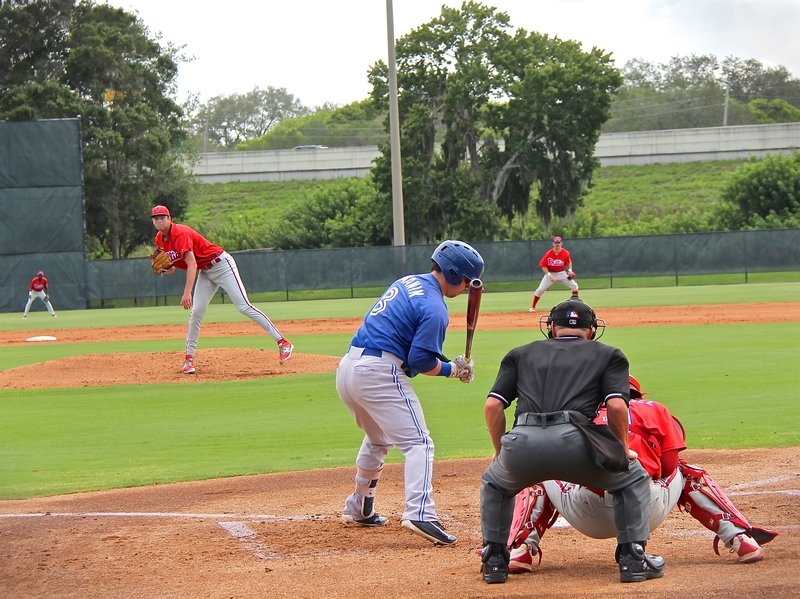 Halladay gave Windle personal instruction. The next time I saw Windle pitch, he threw an 8-pitch inning. Friday night, I watched an XST game in Dunedin. No pictures, but here’s some notes. 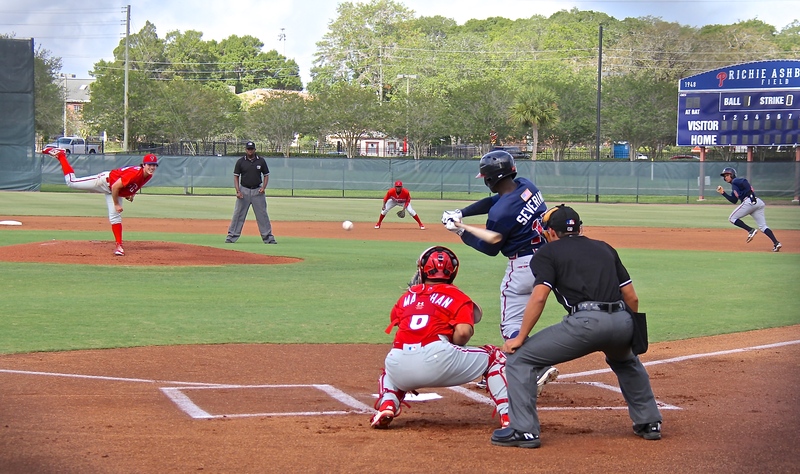 Luis Carrasco pitched three innings. His FB was 91-mid 90s, and he touched 97 MPH. This was the day Windle pitched. In a SSS, his FB was 91-94 MPH. I think I may have covered some of these in the box score report that night. 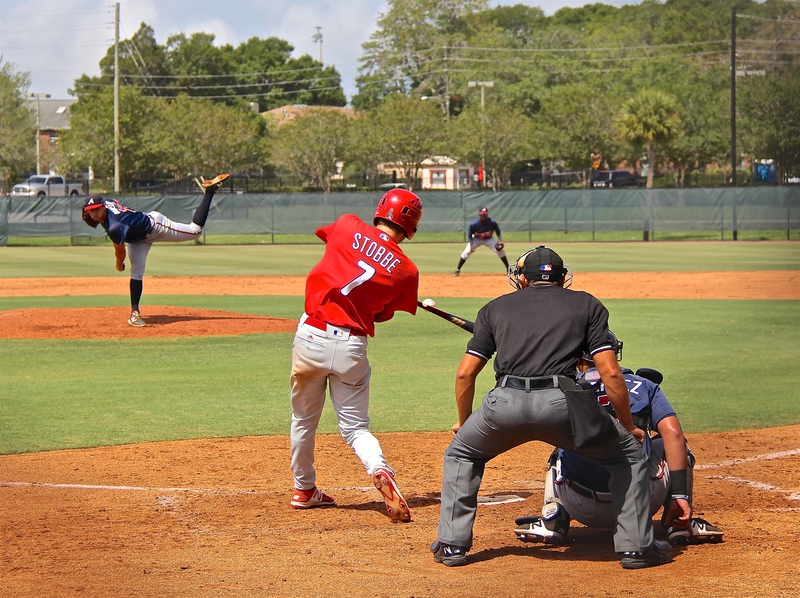 But in case I didn’t, Stephen tripled off the RF fence and scored on Derek Campbell’s single. 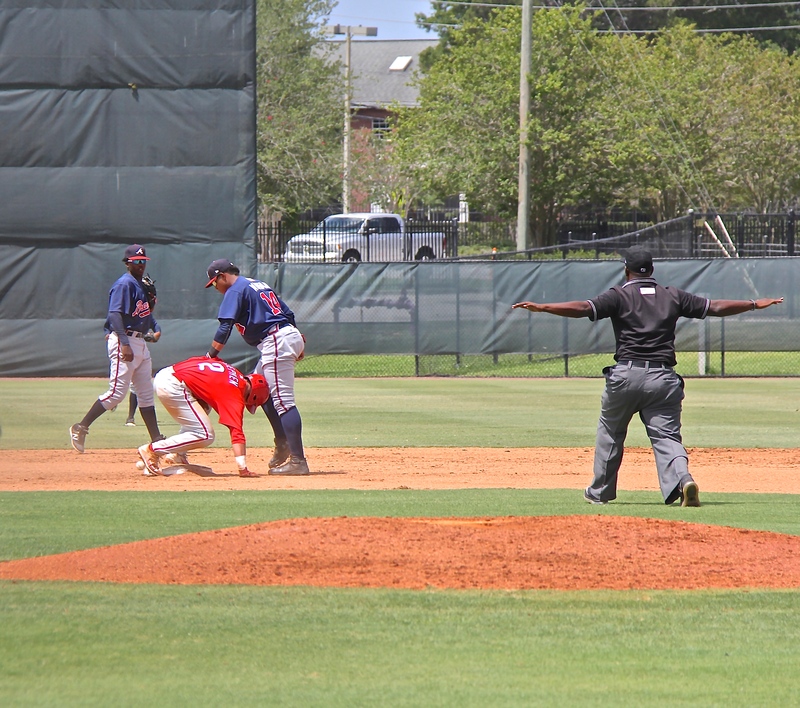 Campbell walked later and scored on Ortiz’ double. Muzziotti, Marchan, and Eldridge had the only other hits. Saturday, I watched Kyle Young throw what may be his last innings in XST. 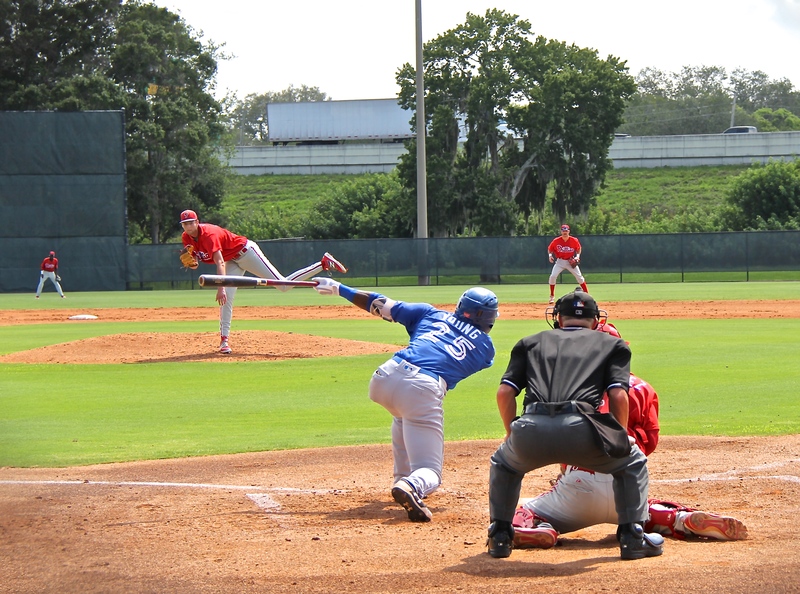 He loaded the bases with one out on three very soft singles (a bloop over Encarnacion at first, and ground balls through each hole). Then, he struck out the next two batters. He didn’t allow another base runner. His line – 3.0 IP, 3 H, 0 R, 0 ER, 0 BB, 6 K. His FB was high 80s, touching 90 MPH. He’s got a low 80s change, and a pitch in the mid-70s that he described as a slurve since it has slider action but curve ball speed. He got most of his Ks with it. Kyle Young, strike out looking (6/10/2017). Kyle Young, another strike out looking (6/10/2017). Kyle Young, strike out swinging (6/10/2017). Kyle Young, another strike out swinging (6/10/2017). Francisco Morales pitched three innings, too. He had a good inning then lost focus a little. 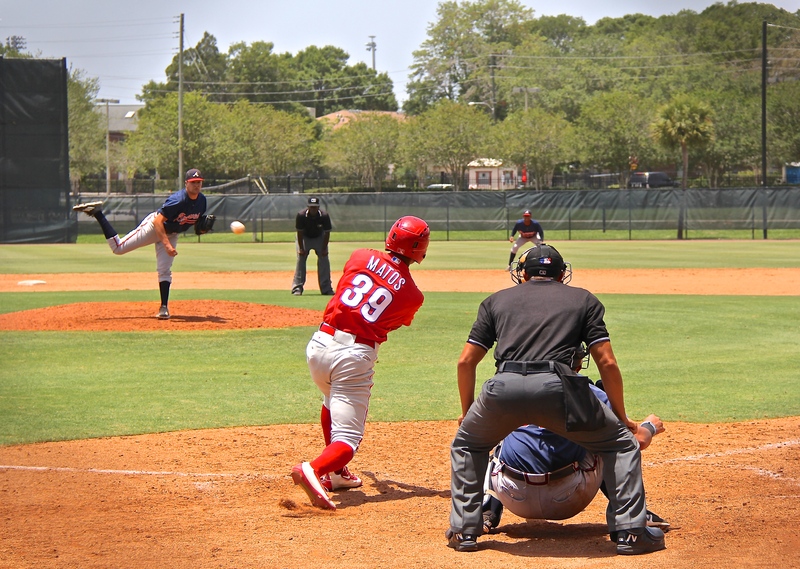 His line – 3.0 IP, 32 H, 3 R, 3 ER, 2 BB, 0 K. His FB was 91-93 MPH, his curve low 80s. Jim – thank you for all of the hard work you give for this site. Phuture phillies has been my #1 website since 07-08 and your management of the site represents, in my opinion, the best years of the website’s existence. A question for you: how has Gowdy looked in XST? Based on your observations do you expect him to do well or struggle at Williamsport? Great – low 90s fastball (where have I heard that before? 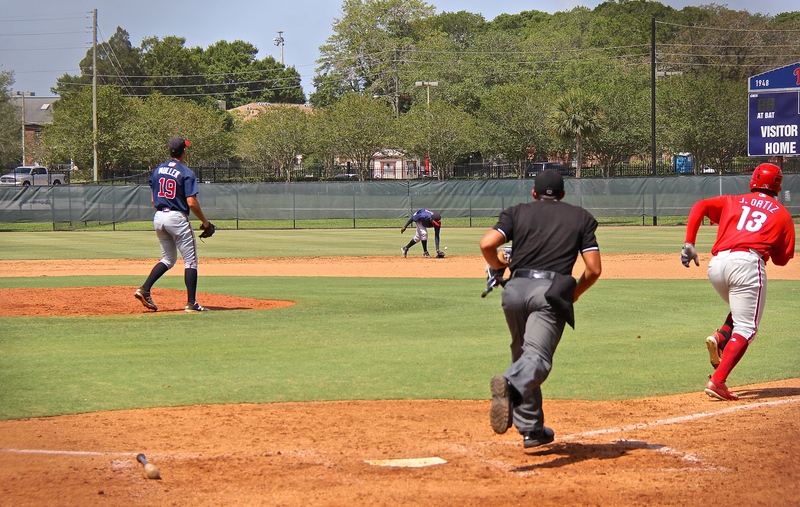 ), developing breaking pitches and mound presence. It sounds like Jared Eickhoff (which is fine, as far as it goes, but it doesn’t sound like a potential TOR profile). Are they projecting him to develop additional velocity?